Available for occupation from mid June, 1 Hardwick Street is a former industrial building which has been fully refurbished to provide stylish, modern office space, whilst retaining many of its original features. The building is situated on Hardwick Street, off Rosebery Avenue and adjacent to Exmouth Market. It is located in the heart of Clerkenwell with its historic village environment, and provides unrivalled transport links from Farringdon Station with the arrival of Crossrail in 2018. Between 2,300 and 12,800 sq. ft. is available in the building, which can be let on a floor by floor basis or in its entirety. 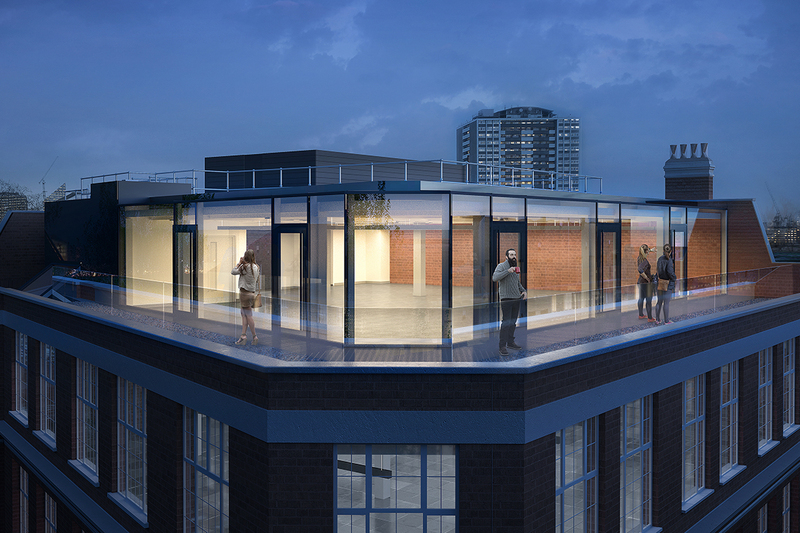 There is also an outside terrace space, accessible from a brand new glass box penthouse with superb views over London. For further information or to arrange a viewing, please call us on 020 7336 1313.